A friend from Boulder visited this week and I gave him a BMGM best of LA tour. We rode our bikes along the beach, stuffed ourselves with fantastic food and then wrapped up the visit with a quick tour of my favorite artworks at LACMA. 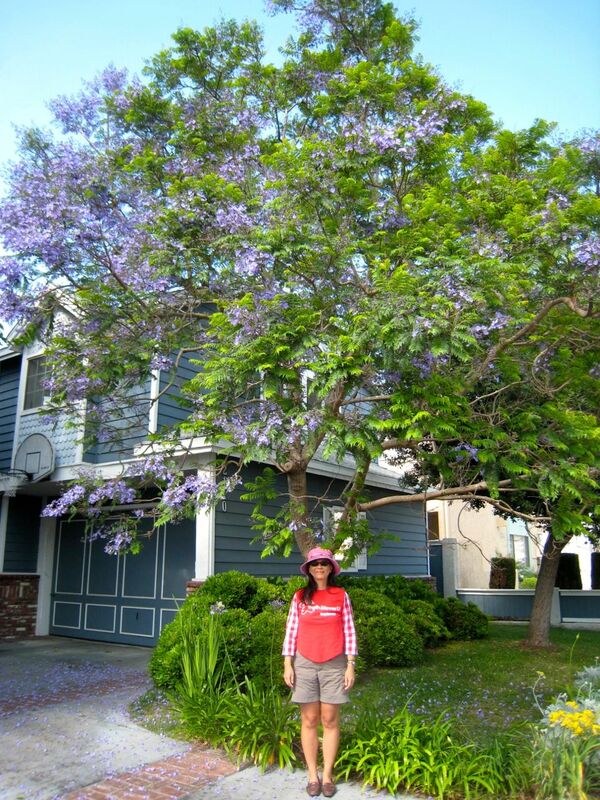 The jacaranda trees are in full bloom, especially on La Brea south of Little Ethiopia. (Think trees on both sides of the road arching to create purple tunnels--just dreamy.) Unfortunately, I was too busy driving to take photos. We did manage to take one picture with a me-made in red and a jacaranda tree beginning to bloom. I'm wearing Kwik Sew 2555 made from a refashioned t-shirt and contrast sleeves made of cotton/poly gingham. I used the same pattern for Fashion Fail. This time, I cut a size small. (I cut a medium for the earlier version.) For close-ups and details of the top, read Red Details. 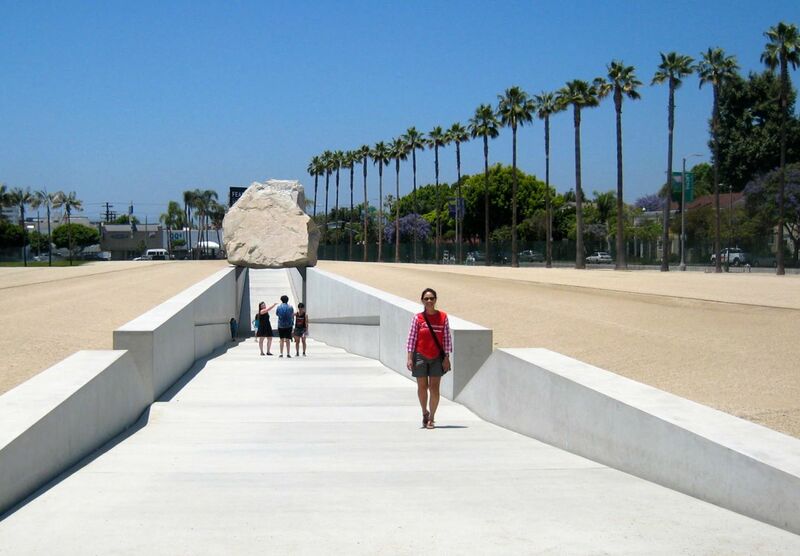 Have you seen LA's favorite rock star, Levitated Mass? From La Brea Boulevard, it really does look like it is floating a few inches above the ground. In keeping with the red theme, I took a picture of my favorite section of Richard Serra's Band (aka Ribbon) sculpture in the permanent collection at LACMA. 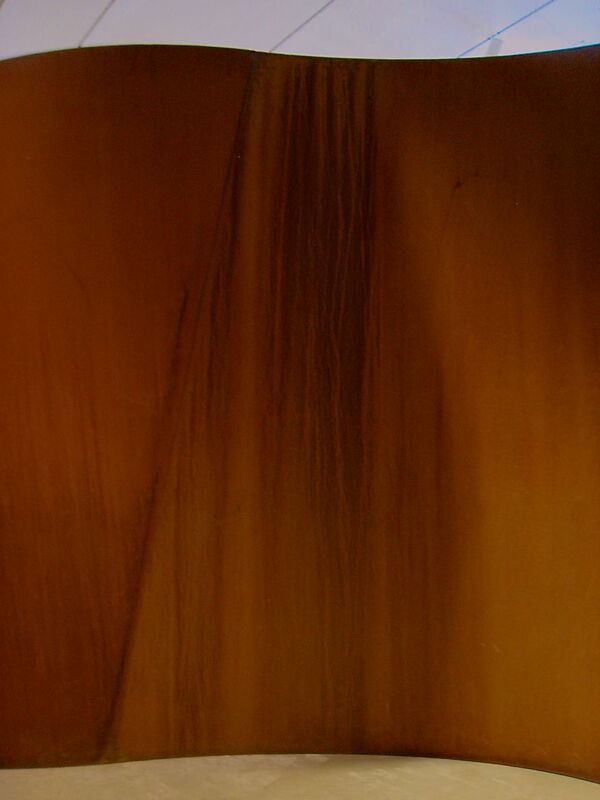 Serra throws salt water on the steel to create the rust patterns. Doesn't it remind you of Clifford Still? This Friday's Me-Made May 2013 theme is our hometowns. That's actually not an easy call in the metropolis of Los Angeles, where one town blends into the next. Is my hometown Los Angeles? The South Bay*? The Beach Cities**? Redondo Beach? The "Felony Flats" (FF) neighborhood of Redondo Beach? In the end, I decided to show all scales. 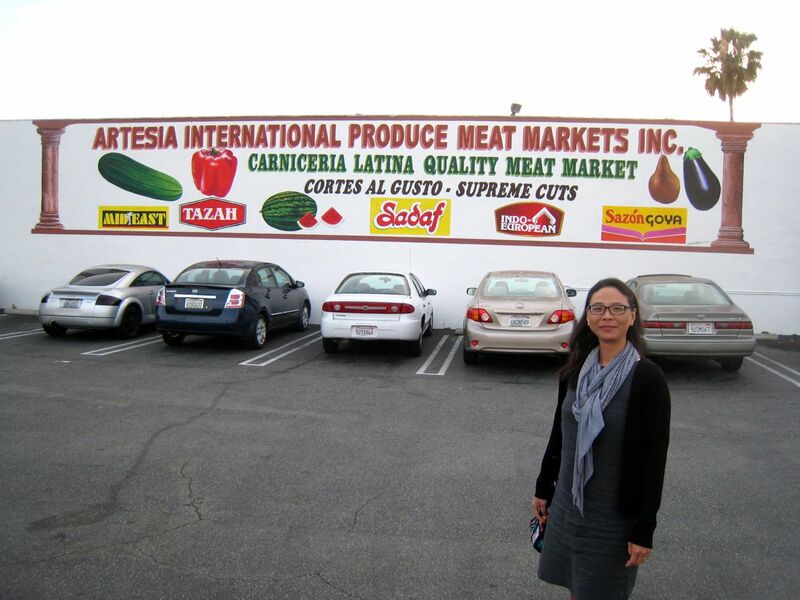 We took this photo at the corner of McKay and Artesia--where I pick up my CSA box, shop for groceries and hardware and dine. 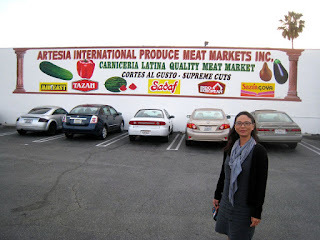 As you can see from the sign, this grocery store serves a diverse clientele. Have you played around with the North American Census Dotmap? 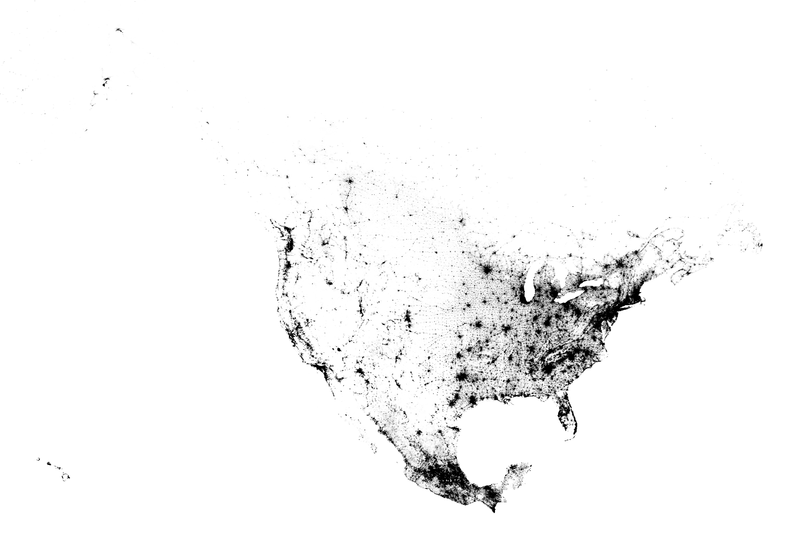 Each dot represents one person from the US, Mexico and Canada censuses. You can zoom in and pan around. Too much fun. 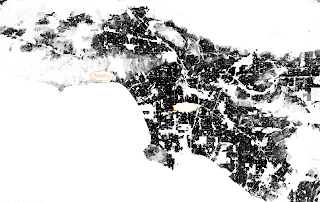 I took a screen shot of Los Angeles, and marked the locations of where people live in Hollywood movies (sparse whitish areas) and where they live in reality (dark semi-solid blobs). In the movies, Angelenos drive everywhere because they live so far away from everything. In reality, Angelenos have the lowest carbon footprint among American cities because .most. people live with incredible density--on par with New York City. 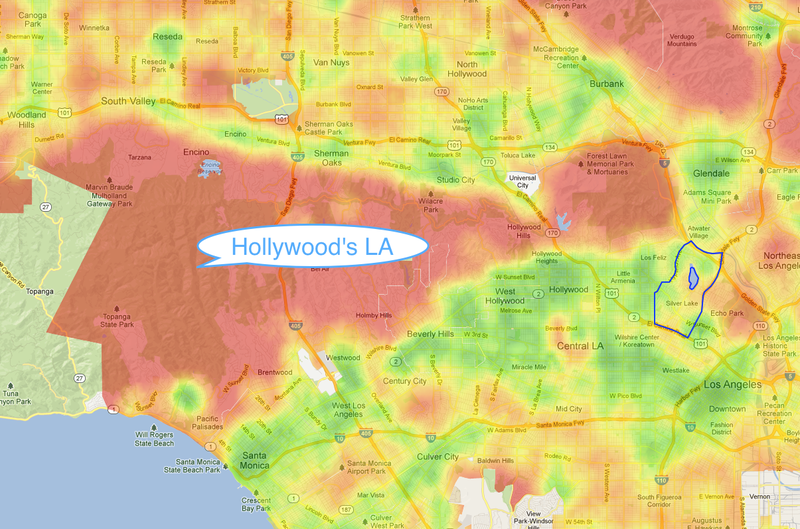 Have you played around with the Walkscore Heat Map of Los Angeles? You can also zoom in and pan around to explore different regions. Areas marked in red mean that you can't walk to any services from there. Areas in green enjoy high walkscores (low walk times) to amenities. Notice the deep red color of Malibu and Hollywood Hills--home of most Angeleno characters in movies. 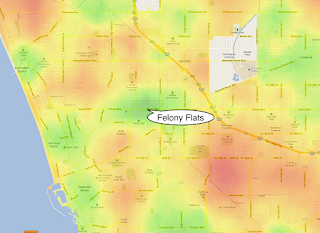 Compare that to the Walkscore Heat Map of Felony Flats. The intersection where we took the photo has a Walkscore of 89 under the old scoring system and 96 (out of 100) under the new system in beta, earning FF the coveted "Walkers' Paradise" designation. If you play around with both maps, you will notice that some densely-populated areas such as south-central LA endure very low walk scores due to lack of services. Places that don't generally get much respect in the media, such as the San Fernando Valley and pockets of the South Bay, enjoy some of the highest amenity levels within walking distance of large populations. Our family likes our urban places urban and our wild places wild. I think that is why we enjoy living here so much. Myrna asked what type of scarves I make out of jersey scraps. It depends on the shape of the scraps. 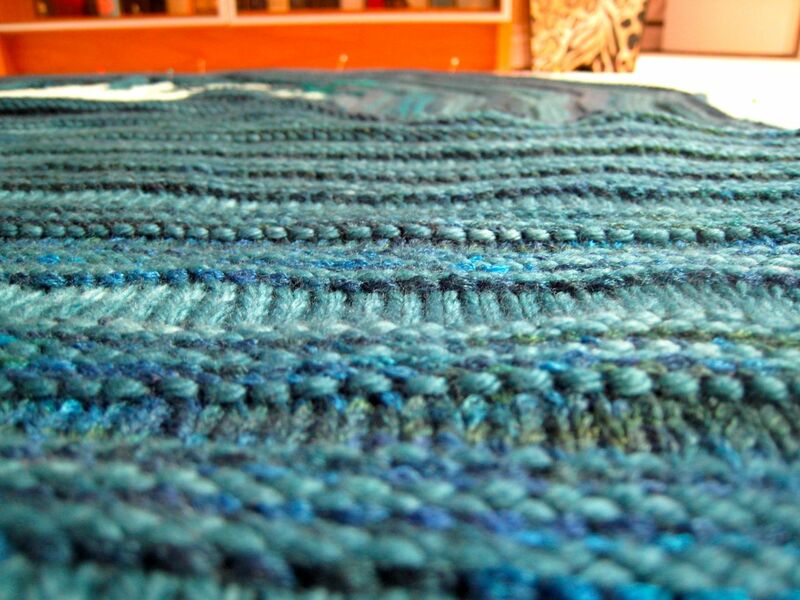 For this one, I cut two bias strips and seamed them together to make one long scarf. Bad Dad managed to take a good shot of the scarf, but caught me with my eyes closed. 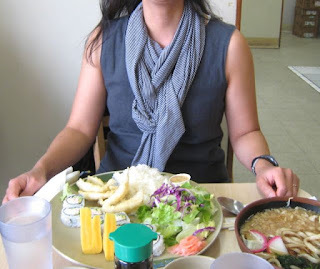 You want to see the scarf and my dinner more than you want to see me, right? I'm wearing a linen shift, Burda 8511. 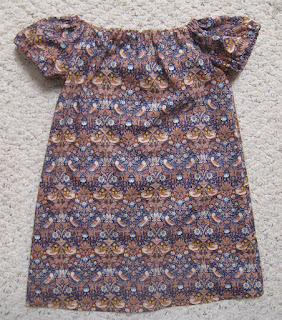 I've used it to make this dress and several shell-style tops. Carolyn has made this dress so many times, she gave it it's own label. Sometimes, you just want a well-drafted basic. The gray linen comes from SAS Fabrics, an odd-jobber in nearby Hawthorne. The bolt probably came from a local manufacturer. I purchased the jersey from Trash For Teaching; they told me that the jersey came from American Apparel's nearby factory. Many LA-region factories throw leftover materials into T4T barrels rather than trash them. T4T collects the barrels and then sells the castoffs for $1-2 per pound. 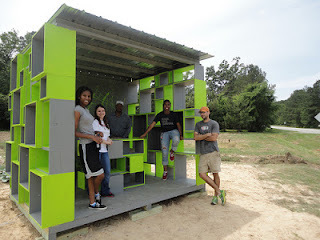 To shop at T4T, you need to be involved in education. 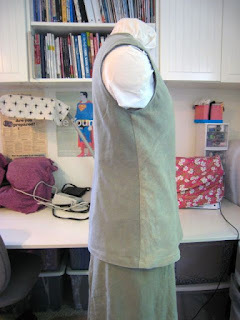 Blogging about sewing from cast-offs counts as teaching. So does teaching someone (yourself or others) to sew. * The South Bay is generally considered the area bounded by the Pacific Ocean to the west, Interstate highway 405 to the northeast, Los Angeles International Airport to the north, Los Angeles Seaport to the south. Proximity to a busy international airport and two major seaports attracts many international companies. 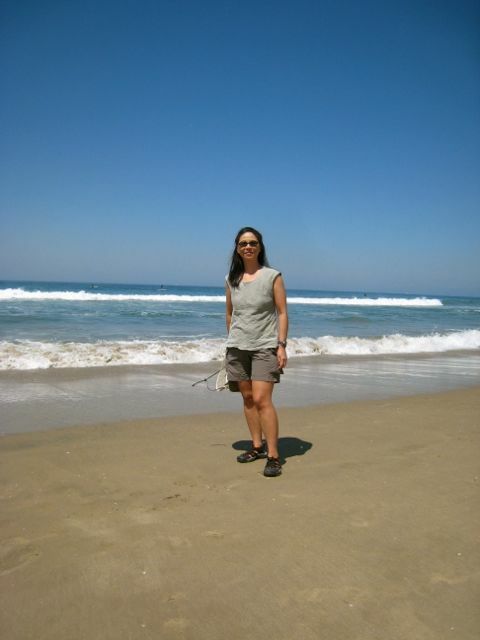 In turn, this attracts a diverse and international populace to the South Bay. Sewists compete for how fast they can sew up the fabric they purchased at PR weekends. I would come in dead last because I bought about 6 months worth of fabric at my usual pace. ;-) Yesterday, I sewed up the first piece. I found this Liberty Tana Lawn remnant at Britex and thought it would make a sweet little girl's dress. My girl is not so little, so this one is heading over to PhysicsKnits because her little girl just became a big sister. I used Simplicity 4767 again. This is View A in a size 3. 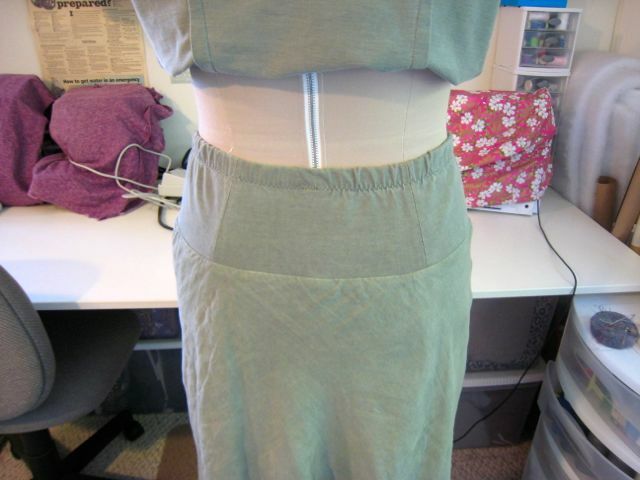 Because Tana Lawn can be a bit sheer, and I wanted the dress to be wearable in public, I lined the body with gray cotton voile. Of course, everything is clean finished with flat-felled and/or enclosed seams for hand-me-down quality. Peasant blouses offer much "bang for the buck"(time) because they are relatively easy to sew and wear. Take extra care with the seams so that they don't chafe tender young skin. They will be worn right out of the laundry and never see the inside of a closet. Iris and her cousin have 8 blouses/nightgowns and one pair of PJ pants made from this pattern. See Iris' Tana Lawn nightgown. Sometimes, it's not so thrilling to nail a forecast. NOAA scientists predicted that the areas in the red boxes would experience tornadoes and the areas in the yellow boxes might experience tornadoes. In preparation, geostationary weather satellites (the G in GOES stands for geostationary) were put in Super Rapid Scan* mode so that they could send down higher-resolution data in both spatial and temporal scales. Hopefully, the faster scan and downlink rates bought people time to scramble to shelters and kept the casualty rates lower than they would have been without the precious few extra minutes of warning. Even though Scott Bachmier of the CIMSS Satellite Blog has been sequestered, his boss found some money to keep him blogging for public education. 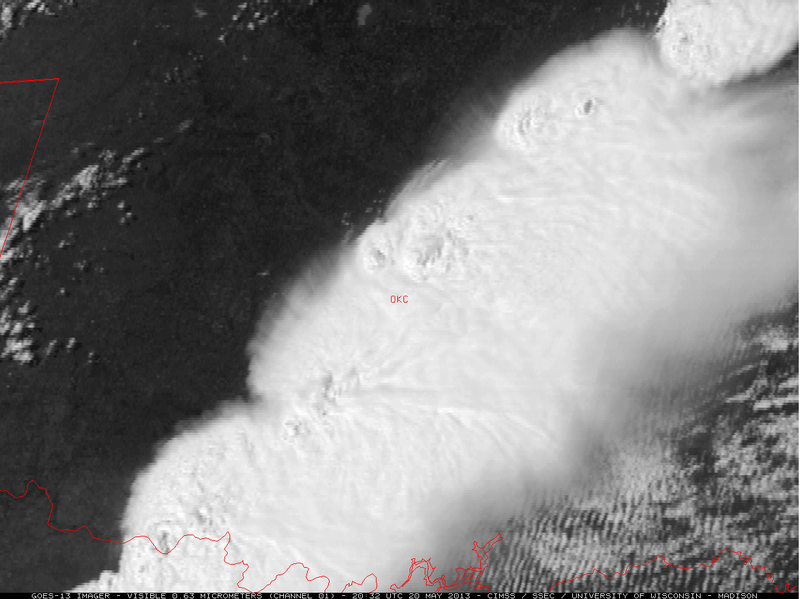 He put together this incredible animation of Oklahoma on May 18, showing "overshooting" cloud tops. In plain English, air parcels were tossed upwards with such tremendous force, their momentum carried them up above their thermodynamic stability level. Watch this stereo animation. The clouds literally boil over. The animation for May 20 is similarly impressive. 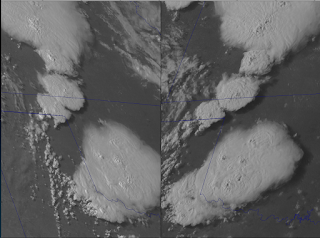 In addition to the boiling behavior, look at the lines of waves emanating from the frontal region and extending to the southeast (bottom right) corners of the images. That line of L's in the top color picture from Unisys (based on NOAA/NCEP predictions) stands for low pressure. That trough of low pressure is expected to remain stationary for several days and will continue to draw in warm, moist air from the gulf of Mexico--and generate tornadoes where they collide. Imagine living through the devastation of the past three days in Oklahoma and knowing that you face three or more days of this. How are you going to soothe your kids while not downplaying the very real danger? 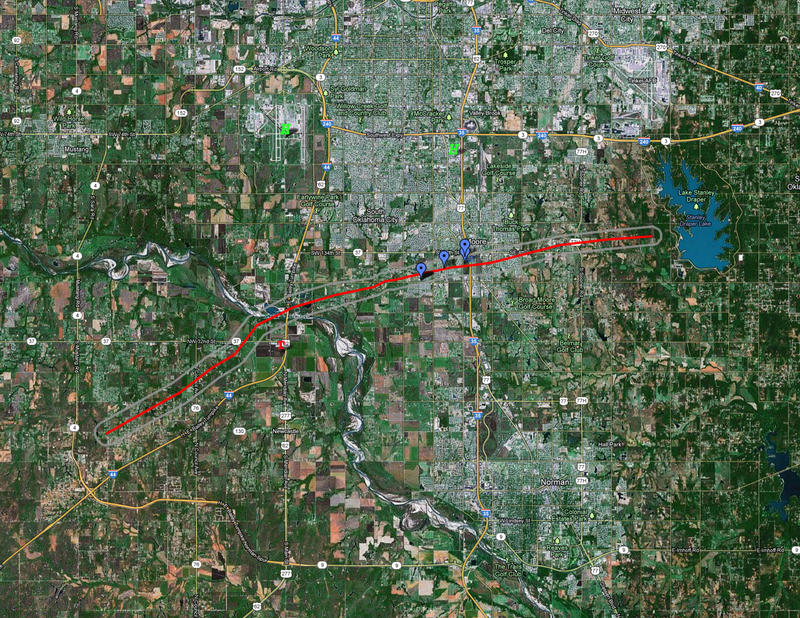 USA Today put together a graphic overlay of the May 3, 1999 and May 20, 2013 tornadoes. 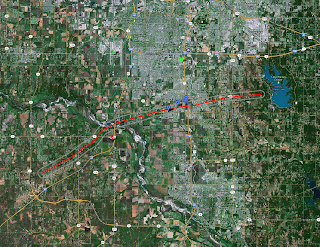 Is it just my imagination, or can you still see some of the scars of the 1999 tornado on the satellite image on this Google Map of Oklahoma tornado sites? Perpetual drought and longer fire seasons in the southwest, longer tornado seasons in the midwest, longer hurricane seasons and more intense hurricanes in the southeast, and more nor'easter meets subtropical jet mega-snowstorms in the northeast are all signatures of a warming planet. The physics of how a warmer overall global climate leads to an increase in the probability of these events is well understood. * Animations such as these are possible only because images are scanned and beamed to earth every ~5 minutes. Thus, each frame is taken about 5 minutes apart. With satellite bandwidth, you have to rob Peter to pay Paul. Imagery in the southern hemisphere was probably sacrificed for this. When you think about it, it's incredible that photons fall on a detector out in space and then we get movies like this a little while later. Integrating science, technology, engineering, arts, and math (STEAM) skills, Studio G projects build confidence, grit, and the belief that everything is possible in life and in the world. That's exactly what I think has been missing in the entire STEM debate, an explicit recognition that creativity is an integral part of design and problem-solving in all fields. This gives a whole new meaning to STEAMpunk. High school students in Bertie County (NC) designed and built this farm stand. Read more about the program and how the hostility from NC school officials has driven Project H out of NC to more friendly Berkeley, CA. In other news, our local schools have just completed STAR testing. How about your local districts? I've been thinking about the point of STAR testing and how it has been perverted/subverted over the years. I am so glad that this is the last year our state has to go through this farce. But, I don't know how the common core will be implemented. I got my themes mixed up and did NOT take a photo with a hat this year. Instead, I will recycle content from What would Rachel wear?, a dress from recycled elements. This might be cheating, but new readers may be interested in the link because I scanned and showed a vintage BWOF magazine from 1995. Next week, I'll be ahead of the game with the photos that we took yesterday. Myrna will have to wait for her photos of a scarf from recycled jersey scraps. Iris told me that gamma rays have been done to death and she is going to use beta decay in the comic book she is writing. Which led us to discussing, not just the electron-antineutrino pair that appears in neutron decay, but also the positron-neutrino pairs that can also result. Her ears pricked up. "Are they anti-matter? How do they hold it?" Umm, it's late and you should get to bed. Why don't you ask your grandfather his war stories of delivering enough juice to power a Tokamak without browning out the entire surrounding region? Anyway, the class erupted in laughter and I had no idea why. Absolute horror--nightmare where you show up to class without clothes type moment. On the bright side, this could be a good plot element for her heroine. BTW, what is the difference between a comic book and a graphic novel? 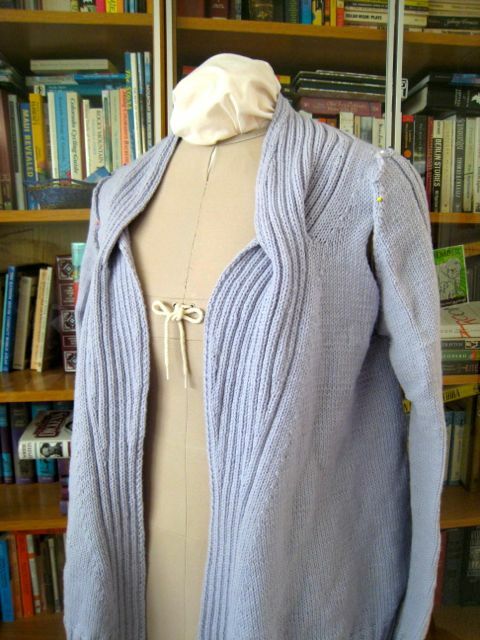 I had a momentary topological lapse when seaming my version of Norah Gaughan's Nespelem Cardigan. Can you tell what I did wrong? It took 45 minutes with an audiobook to fix it. NG's patterns are so well thought-out. Look at the way the sleeve echoes the details of the back and collar. I learned something truly awful (and yet also exciting) in CopyrightX. Patterns are expressions of facts. So patterns themselves are NOT copyrightable, but the ways that they are expressed are protectable. So photocopying a pattern to give to a friend is not allowed, but telling a friend how many stitches to cast on is legal. That pattern facts are not protectable may be economically harmful to their authors, but it also allows others to build upon their work and move the state of the art forward. 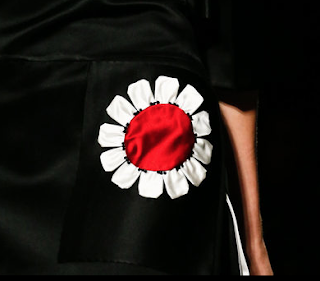 The fact that patterns are not protectable may contribute to the vibrancy of fashion arts. Food for thought. Commentator Douglas Kretzman left two excellent links. The MOOC Moment and the End of Reform By Aaron Bady is the best discussion of what MOOCs means for education in particular and society in general I have ever read. It is truly not to be missed. Then read this tongue in cheek but deadly serious CUCFA President Meister's Open Letter to Coursera Founder Daphne Koller. The California Master Plan is in tatters. I could go on and on about how the promise is illusory and about the craven cynicism of the people who pretend that it still exists other than on paper. I want to be part of the group who push back against privatization of education. Thank-you so much for the links DK! The CopyrightX model of online education is not scalable. It depended on TAs that (as far as I could tell) volunteered their time in order to gain experience and teaching experience for their resumes. It also piggy-backed upon a class happening in real time on campus at HLS and the technological assistance and platform provided by edX. Mostly, the experience depended on a small group of students capable of surpassing hurdles such as admissions essays. At the end of the class, we posted our LinkedIn profiles and added each other to our networks. It turns out that nearly all of my North American counterparts had already graduated from elite universities for either undergrad or grad school (or both). One cannot responsibly extrapolate the data from this online learning experiment to educating under-served communities. 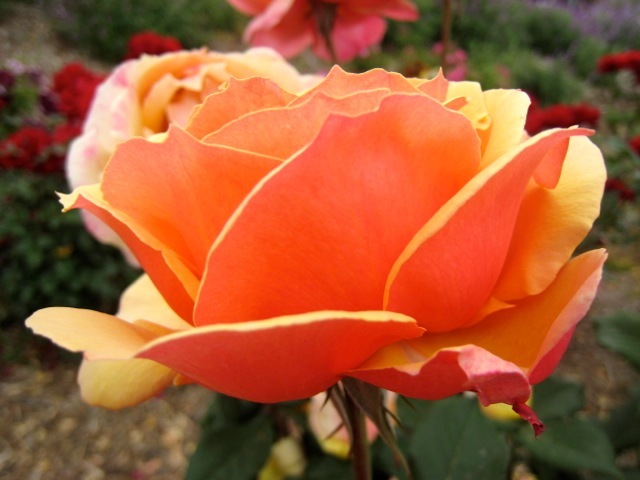 I hope you all had a wonderful mothers' day. I opened mothers' day while madly writing responses to questions for a CopyrightX final exam. Bad Dad went to Trader Joe's for a food run and brought me some flowers to liven up the computer desk and chocolates for caffeine and energy. Much has been written about MOOCs, massive open online classes, but mostly by nontechnical writers. I think that MOOCs can be wonderful for computer programming courses. But, they are lacking for humanities and other open-ended disciplines. If reporters only sample the nontechnical MOOCs, then they will come away with the impression that MOOCs are just an educational fad with no real substance behind it. Nathan Heller's long article for the New Yorker, Laptop U, is representative of the coverage Bad Dad and I have read. He opens with The Ancient Greek Hero, a class that Bad Dad is taking very seriously and I have all but given up on, and closes with CopyrightX, a very rigorous class I just completed. CopyrightX is not a MOOC in the sense that it is not truly open. Potential students apply and are selected. I'll refer to it as a MOC, though, at 500 students, it's neither open nor massive. We also pledge that, if selected, we will put in at least 8 hours a week of study and discussion time. To further weed out dilettantes, the online application included several essay questions about our backgrounds and motivations for studying copyright. 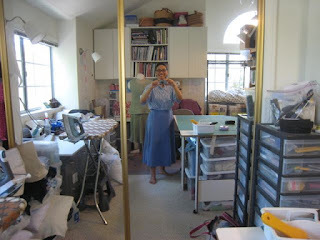 I wrote about my past work in data collection and curation and my sewing and blogging hobbies. My answers were compelling enough to land me one of the 500 internet student slots. Heller wrote: "In picking students, [professor Terry Fisher] looked partly for a range of ages and professions: his goal is to seed knowledge of digital-age copyright law among people who will apply it creatively in their own circles and work." Of the 25 people in my section, three held PhDs, one two were practicing IP attorneys and a handful worked as librarians and archivists for a range of federal and state agencies or nonprofits. This was not your average (wo)man on the street cohort. Students came from Europe, North and South America and China, but the North American and European students were most active in discussion boards and at the "live" weekly recitation sections. I'm curious to learn how many of us took the final (which is a proxy for sticking it out in the class). In addition to the weekly lectures by the professor, we read review articles and case law, "met" with our section for weekly discussion with our TA as a moderator and watched biweekly guest lectures. Our TA also offered weekly office hours and sent out additional study materials throughout the weeks. If we asked a question that our TA couldn't answer, she sent it out to her fellow TAs and the professor and replies rolled in reasonably quickly. Functionally, CopyrightX was a small college seminar, taught by a graduate teaching assistant and overseen by a rock-star professor. The TA was super generous with her time. The professor, though not approachable directly by students, spent considerable time preparing the class and listening to the TAs and the students through the TAs. The internet 500 (CopyrightX group) took the class at the same time as students enrolled in the bricks and mortars Harvard Law School (HLS), studying the same units at the same pace. In discussion section, HLS and CopyrightX students discussed the same "hypotheticals", or hypothetical cases. During the special guest seminars, both HLS and CopyrightX students could submit questions. Other students and TAs would upvote questions on the board, and the guests answered the top-voted questions from both groups. My TA asked the edX staff and a response rolled in many weeks later as the question got kicked around until it found someone who knew the methodology. I know that you are on the edge of your seat, waiting for the methodology. Here goes. Each of the 500 admitted and enrolled students checked off one or more of the five available time slots. The computer assigned 100 to each time slot, based on our availability. The 20 TAs were assigned, four to a time slot, in a similar fashion. Then we were randomly assigned, within each time slot, to one of four groups. Come to think of it, there is a third exposure--online or bricks and mortar. In one section, the TA let it slip that we came to consensus on the relevant section of law and precedents faster than the HLS section. That's when I realized that they could compare us to not just other CopyrightX students, but also possibly to the HLS students. In early June, we will be notified of our final exam results. Undoubtedly, the performance data between groups will provide researchers with rich material. I hope that our participation as guinea pigs will make online education better for all. That said, I initially put a blanket copyright notice at the bottom of this blog because I didn't want to give away any rights before I understood them. Now that I am more aware, I think I will change the copyright to Creative Commons Attribution-NonCommercial-ShareAlike 3.0 Unported as a baseline and then put separate notices for content that I want to protect differently. Leave a comment if you think this is interesting or I should just stick to the sewing and knitting stuff. I was surprised by the responses to some problems are easy to solve. First, I want to thank all those who commented and emailed because they really did help me to rethink the problem. My first visceral response was that, if the rationale for disenfranchising women from the democratic process is that *men* cannot control themselves around women, then the creatures with no self control should be the ones that are disenfranchised. After all, who wants to be ruled by an out of control democratic mob? The responses, save one by email, gave practical suggestions for how to segregate the genders and still allow women to vote. But, I want to ask how people would feel if we substituted race for gender? What do you think about George Wallace's infamous speech that included the line, "segregation now, segregation tomorrow and segregation forever,"? You can hear an NPR story with the quote here. Why must women cover themselves from head to toe, stay imprisoned in their homes, be denied education and autonomy, etc just because *men* say that they are unable to control themselves around women? Does segregation eliminate the problem or perpetuate the "otherness" of women? We now (mostly) accept in the US that racial segregation was bad and that racial integration in all aspects of life, public and private, is a social good. We used the might of our government to impose this social good upon communities who did not accept this. President Eisenhower sent the U.S. Army’s 101st Airborne Division to protect the Little Rock Nine as they tried to attend a historically white high school. The other two branches of government, the US Supreme Court and Congress, also used their might to force integration upon unwilling southern states. At the time, southern states used the same defense--that racial integration is just their culture and that nothing could be done about it. Fifty years later, racial integration did not cause the sky to fall and most people, especially young people, see it as the natural order of things. So why do we accept analogous arguments today for the segregation of men and women? I really want to know why gender segregation is different than racial integration and why we should accommodate those who insist upon it. 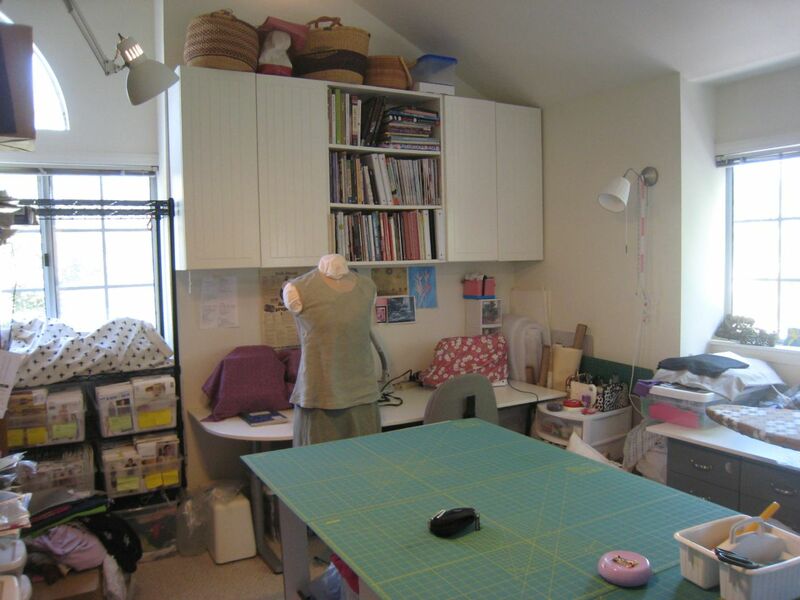 This Friday, Me Made May '13 takes us on a tour of sewing spaces. Here's the northeast view of my 12x13 foot sewing room. 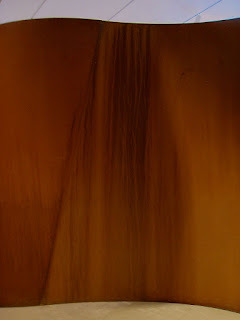 Patterns are usually covered by the fabric curtain. Zero waste bin for scraps are below the patterns. UFOs are in bin on table to right. Books are in IKEA kitchen cabinets above table. One primary sewing machine and serger. Backups of both machines for when sewing with others or in contrasting thread colors. Southeast view with pressing station and UFO bin of half-finished projects. Messy studio. The closet and bins under the tables are full of fabrics, yarns and clothing awaiting refashioning. KC asked for a closer look at Vogue 1310. Behold, the pieced front. I made the top from the leftovers from the matching bias skirt. 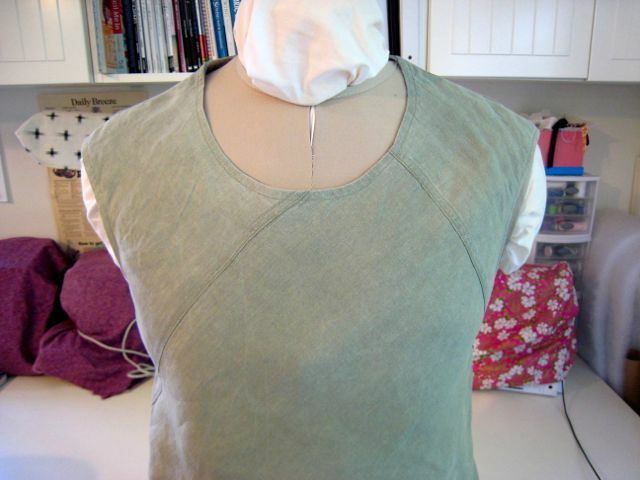 The linen started out a light celadon green while the cotton jersey was a pale olive. I over-dyed the linen to match the jersey. I cut the front in a size 12 and the back in a size 10. 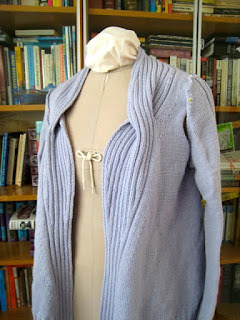 When mixing a knit and a woven, I generally cut the woven a size larger than the knit. 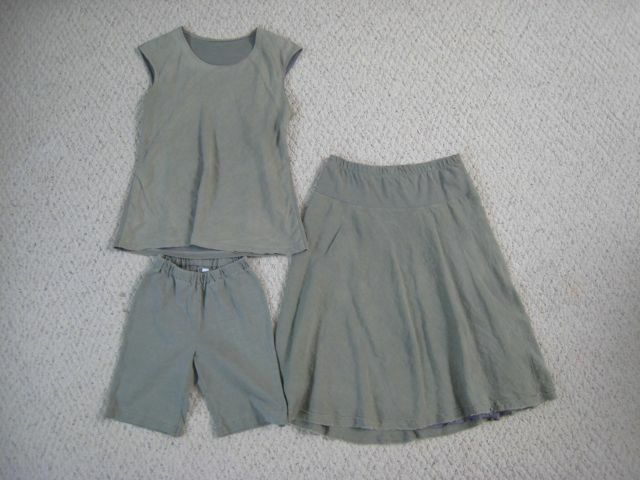 Notice that the top has been washed more often than the skirt and is more faded. They started out the same color. I improvised a bias skirt pattern with a knit yoke. Rather than make a straight tube, I joined two pieces with angled seams to simulate two darts for a smoother fit. I found the linen and jersey at Trash for Teaching. 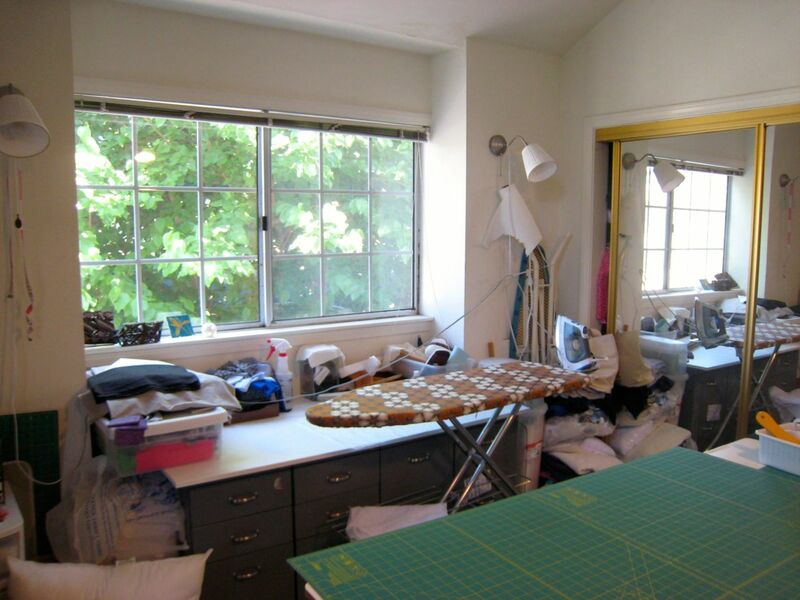 They hold open family studio workshops every Sunday afternoon in their Gardena warehouse. You can also purchase their recycled materials for $1-2 per pound. They asked Pennamite and I to lead workshops. Pennamite already led one about how to crochet fabric strips (donated by American Apparel) into bags and home dec. 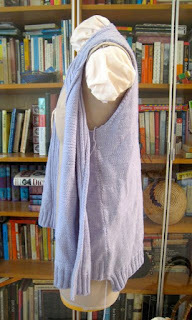 When I am less busy, I will lead one showing how to make scarves from fabric scraps. 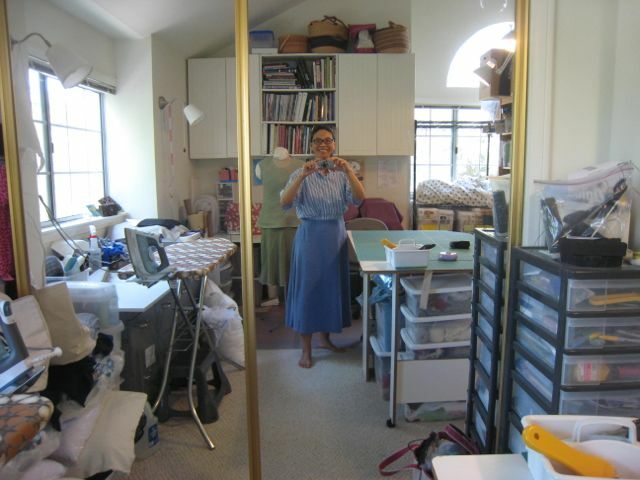 I purchased the rayon skirt lining and cotton voile top lining from SAS Fabrics. I bought new thread, elastic and a pattern, so the outfit is not 100% recycled content. However, I used nearly all the scraps of each piece. I've already shown Iris' jersey shorts. The leftovers became my skirt yoke and top back. Her race shirt from the West End 3k was remade into a fitted raglan shirt along with some slinky knit from the Michael Levine Loft. The black fabric on the cardigan back and the dark olive jersey for the skirt came from SAS. The Loft and SAS are odd-jobbers and these small scraps were leftovers from the garment industry. My top, skirt and Iris' shorts, showing the dyed-to-match set. Yeah, our family dresses in trash. Or, you can flip it around and say that we dress sustainably. You decide. I recently finished taking MITx: 14.73x The Challenges of Global Poverty, which gave an excellent introduction to this very large and difficult problem. There is no magic bullet to all the barriers that the poor face. But, I read this article today and can offer a simple solution. MATEELA, Pakistan (AP) — For decades, not a single woman in this dusty Pakistani village surrounded by wheat fields and orange trees has voted. And they aren't likely to in next week's parliamentary election either. The village's men have spoken. "It's the will of my husband," said one woman, Fatma Shamshed. "This is the decision of all the families." Mateela is one of 564 out of the 64,000 polling districts across Pakistan where not a single woman voted in the country's 2008 election. The men from this village of roughly 9,000 people got together with other nearby communities to decide that their women would not vote on May 11 either. Yar Mohammed, one of the village elders, insisted it isn't a matter of discrimination. The problem, he said, is that the local polling station is mixed gender. The men worry that their wives and daughters will be harassed, so they want a separate women's station. In some places, but not all, polls are specified for men or women only. "We stop our women from going to polling stations because we think if they do, men would tease them by staring or touching them," he said. Instead of disenfranchising women from the democratic process because they might be harrassed by men, why not just let everyone vote, but disenfranchise the harassers? I've posted further thoughts in maybe not so easy. 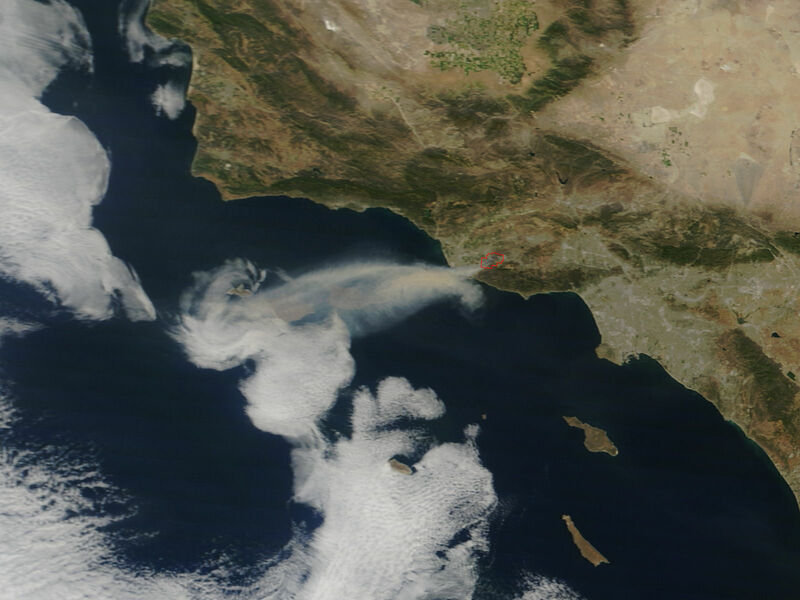 and the MODIS Image of the Day shows a smoke plume like this, I field a few questions. I thought that others might have the same questions, but don't know who to ask. Take a look at the burn area map. Q: What do the colored lines mean? A: The red line contains the burned area. 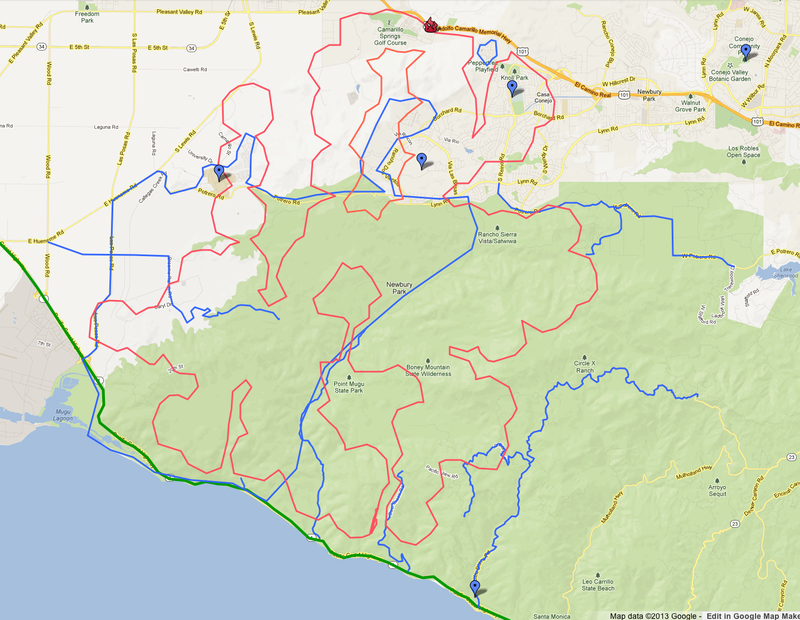 The blue lines represent the evacuation areas. Some places further stratify with mandatory and voluntary evacuation zones. But, some people outside those areas will want to evacuate anyway for health or mobility reasons. Q: What does 20% contained mean? A: Fires are fought along the perimeter so the number refers to the percentage of the fire perimeter (red line) that is under control--where the firefighters are reasonably sure that the fire won't spread beyond that line. Q: I live further away from the fire than my neighbor who is closer in distance to the fire. Why do I have to evacuate and he doesn't? On flat land, in the absence of winds, a fire will burn itself out after it has exhausted the fuels in the fire perimeter. To fight the fire, you need only create a firebreak which denies the fire of the fuel it needs to maintain itself. Flames and hot embers rise. On a hill (still in the absence of winds), the fire will keep moving uphill, picking up fresh fuel, until it can climb no further. Strong winds can blow the fire downhill and over ridge tops, as has happened in this fire. 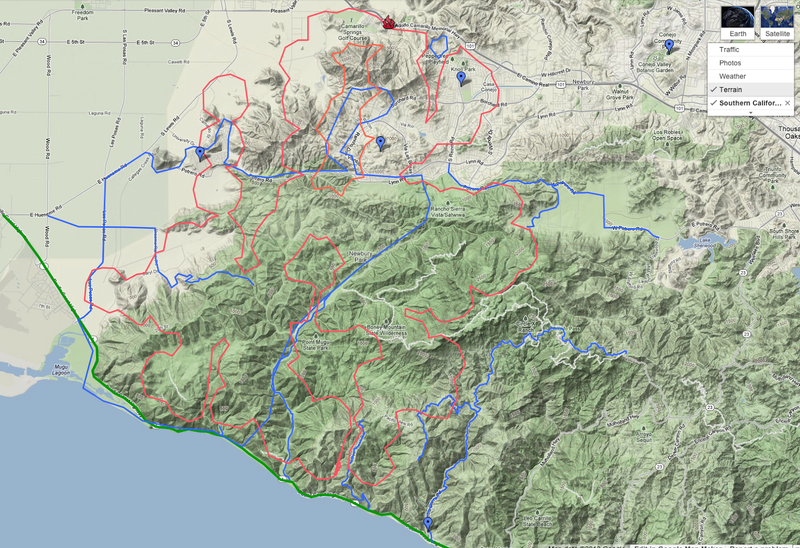 Evacuation zones are set by risk; uphill and downwind areas are at higher immediate risk. Q: Why are the firefighters pulling back and not doing anything? The fire is still raging! A: The problem is further complicated by shifting winds. Wildfires in our region mostly start when we have an offshore wind pattern--the winds come from inland and blow towards the ocean. But, we typically experience an afternoon sea breeze--the winds come from the ocean and blow inland. There is a huge variability and uncertainty in the onset time of the afternoon sea breeze and firefighters have to pull back at the earliest possible time of onset. 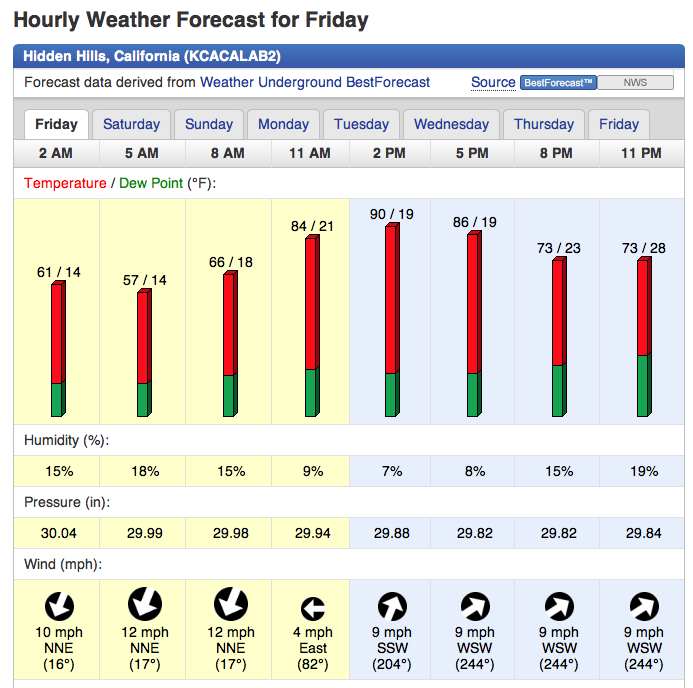 Below is the weather prediction for the fire area on Friday morning. Notice the wind shift was predicted to take place between 8 AM and 2 PM? Here's the wind at a nearby weather station. It's as close to what actually happened as we know. Notice that the winds rotated around, coming briefly from the *west*? That wasn't expected. 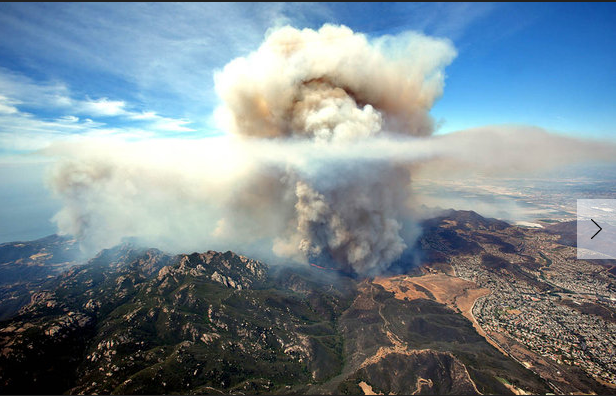 To efficiently and safely allocate firefighting resources, we need good wind predictions. We are at a disadvantage because we live right next to the "big blue data void" aka the Pacific Ocean. But, NOAA does run a (sparse) string of marine buoys and our government runs weather satellites and numerical weather prediction centers. But, don't get too complacent. Many scientists are sidelined due to austerity budgets (myself included). I've decided to join Me Made May '13, but only document on ThemeFridays. Technically, I jumped the gun because this photo was taken on Thursday. However, Friday will be a super-busy day and the first theme is water. Behold, the Pacific Ocean (and Vogue 1310*). The first time I joined Me Made May, I was struck by how much of my sewing was not relevant for my real lifestyle. Why spend so much time sewing for a fantasy life? Now, I'm much more realistic about what I need and my skill level. I sew more selectively and wear my own creations much more often now. 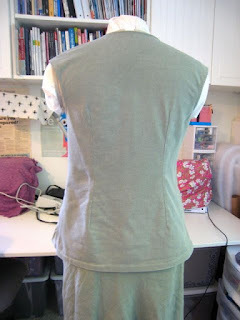 Just as Wardrobe Refashion changed my clothing purchase habits, MMM changed my clothing sewing habits. 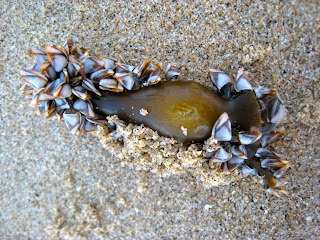 I saw the cutest little barnacles growing on a wee bit of kelp. For reference, they are about 2-3 millimeters wide. 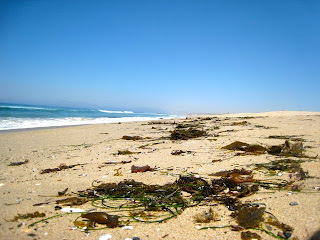 A docent at the Roundhouse Aquarium said that 99% of the debris in the ocean is trash. I think we disagree on the definition of debris. I was going by the mass of everything that washes up on the beach. 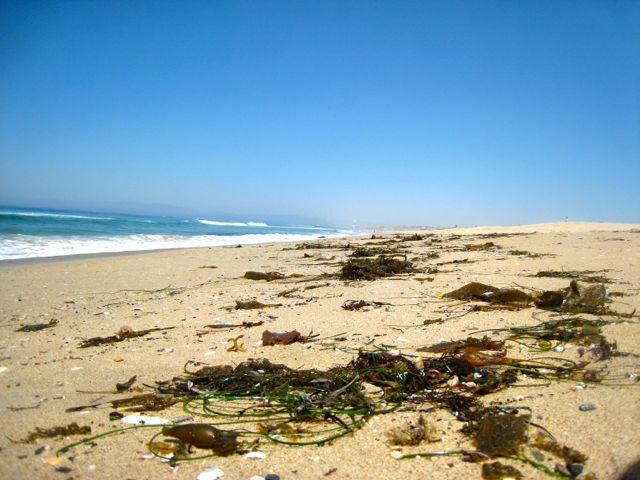 There is trash here, but most of it is naturally-occuring marine animal and vegetable matter. 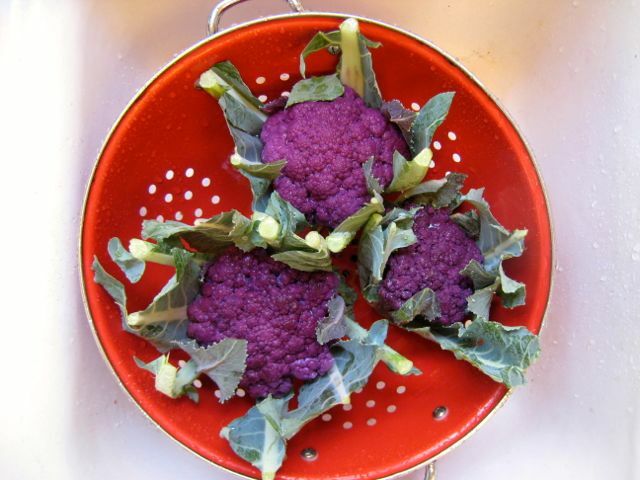 Gratuitous picture of the purple cauliflower in today's CSA box from Tanaka Farms. I just think it is too pretty not to share. 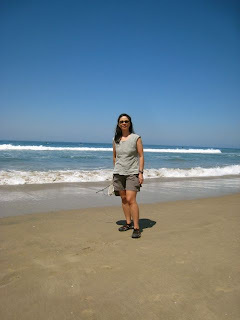 Evening wear on the beach? No, it's an evening wear pattern reinterpreted for casual day wear. The top could have been a real fabric hog (2.25 yds of 60" wide fabric) because it should be double- layered and cut on the bias. But, I pieced some scraps of linen to cut out the front, lined the front only with a small piece of cotton voile, and used another scrap of matching jersey for the back. Fresh Air ran an interview today with Elizabeth Cline, author of Overdressed: The Shockingly High Cost Of Cheap Fashion (link to book excerpt). There really isn't that much there that would be news to someone who has been reading this blog for a while, but it is a good introduction if that isn't a subject you follow closely. I credit Wardrobe Refashion for breaking my habit of purchasing cheap clothes just because I can. I __________________ pledge that I shall abstain from the purchase of "new" manufactured items of clothing, for the period of 2 / 4 / 6 months. I pledge that i shall refashion, renovate, recycle preloved items for myself with my own hands in fabric, yarn or other medium for the term of my contract. 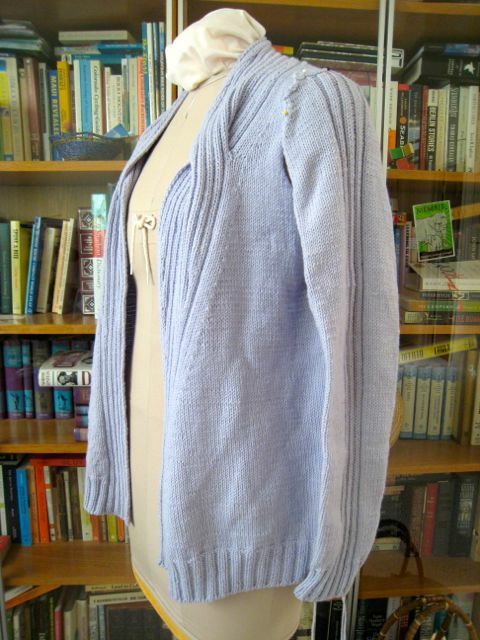 Scroll through my past Wardrobe Refashion or the group Wardrobe Refashion blog posts to view some of things made by mining the embedded value in existing clothes. It's fun. It's creative. It's not difficult. I hope it encourages you to join in. I came home from PR Weekend San Francisco and realized that I didn't take any photos. Must have been all those fabric fumes. I did shop at Fabrix (twice! ), Britex and Stone Mountain and Daughter. I had an enjoyable time at Lacis and will definitely go back when I need something special that only they stock. But for right now, my sewing room is overflowing and it is back to my regularly scheduled life. 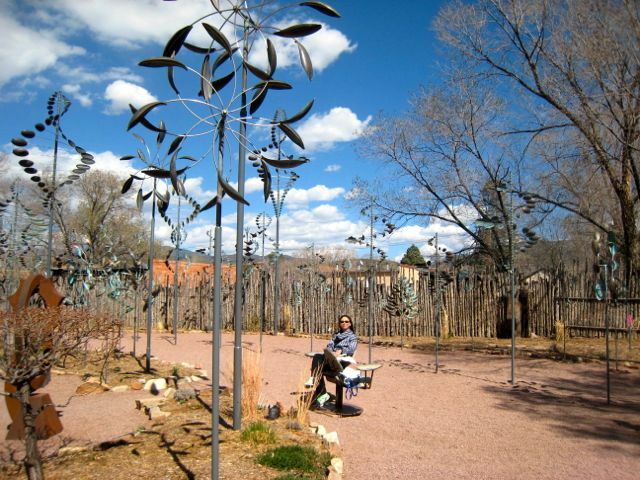 I carpooled with Raye Ann and we talked about people who roll through stop signs. My husband, a white male, insists that it is OK to slowly roll through stop signs as long as you could stop in time if someone else is already at the intersection and has the right of way. I beg to differ. Some (if not most) don't have the reaction time or braking distance to stop in time. Plus, little kids and critters are down low, where you don't notice them until you are on top of them. So, no. It's not just the law; it's a good idea. So how did a guy reach 40 with such a selective interpretation of the law? I call it driving while white. I have seen so many blacks and latinos (and some Asians) pulled over for driving like my husband. Yet, he's sure that the way he drives is fine because he's never been pulled over for his rolling "California stops". When you come from a position of privilege, it's easy to think that everyone has it as easy. You don't think you are lucky; you think that you are just good. It's like having a tailwind through life. When viewed on the global scale, I also live a privileged life. For example, I read that if you asked people around the world where they would most like to visit (if money and visas were no object), San Francisco is at the top of the list and Santa Fe is not far behind. In the month of April, I spent long weekends in both. Here I am, taking a break from art gallery hopping with my husband on Sante Fe's Canyon Road while wearing Butterick 5816. Food fetishism is another hallmark of privilege. I enjoyed the most amazing BLT at Cafe Pasqual's in Santa Fe. 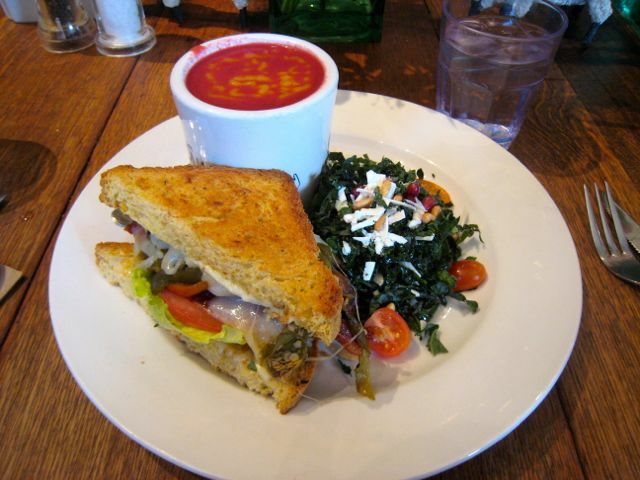 It shares a plate with cold beet soup and kale salad. Yum. We managed to eat three meals (2 lunches and one dinner) there in one weekend. Shifting topics, I want to show you the kind of picture I can't take because I am an Asian woman. This picture comes from Marcy Tilton's blog, but I'm not saying that she hasn't earned her success. This is just a convenient example of a privilege that is denied me by racism. Many blogs feature photos of store windows while on travel. 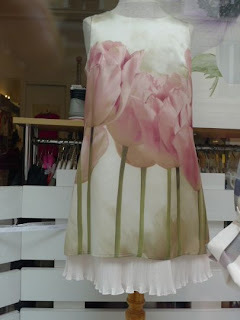 Marcy posted some lovely photos of Parisian store windows from her recent trip of digitally-printed flower images on clothing. When I traveled in France and Italy, store personnel would literally run out of their stores and push my camera down whenever I tried to take a picture. This happened even when I was merely trying to take a "cute kid street scene abroad" picture of my daughter. The stores worried that I was going to rip off their designs and mass-produce it in factories in China. The way the store personnel treated me was just plain racism. If a knock-off manufacturer wanted to rip off the designs, they would send a well-dressed white person to take the pictures or to even go into the dressing rooms with the clothes for a more detailed look. Actually, rather than to wait for the clothes to hit the stores, they would use runway pictures, which appear right after fashion shows. Storefront photos abroad are conspicuously absent from my photo album. Instead of flower images on clothing, I have flower images period. 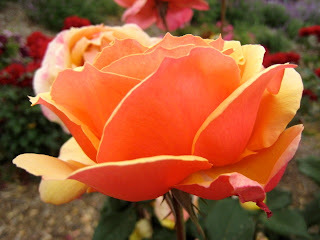 BTW, the roses were in glorious full bloom at the South Coast Botanic Garden yesterday. 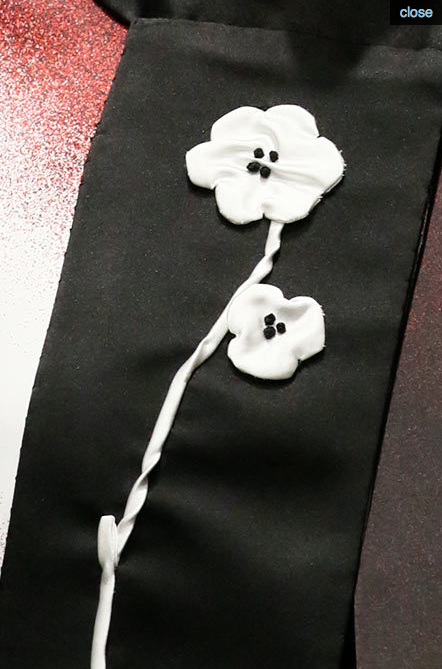 If you want to learn how to replicate those cute three-dimensional flower appliqués in Prada's Spring 2013 RTW collection, you need only purchase an used copy of Kumido Sudo's Fabled Flowers book, published in 1996. Although I've only made one project from the book, it's chock-full of techniques to create all manner of three-dimensional flora embellishments in fabric. People are always looking and appropriating, consciously or not. Those designers trying to prevent me from taking photos stole got their ideas from somewhere (and sometimes from Asian women!). Trying to stop the flow of ideas harms society as a whole.